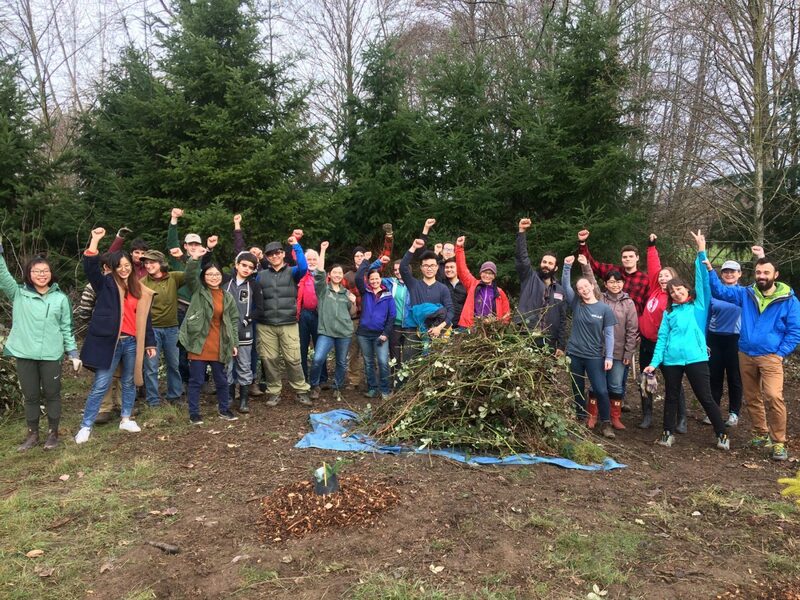 Despite a harsh winter, a large amount of work was accomplished restoring wildlife habitat in the Union Bay Natural Area this Winter Quarter 2019! “The time is always right to do what is right.” – Martin Luther King Jr. While championing civil rights, Martin Luther King Jr. was also a strong advocate for environmental justice. 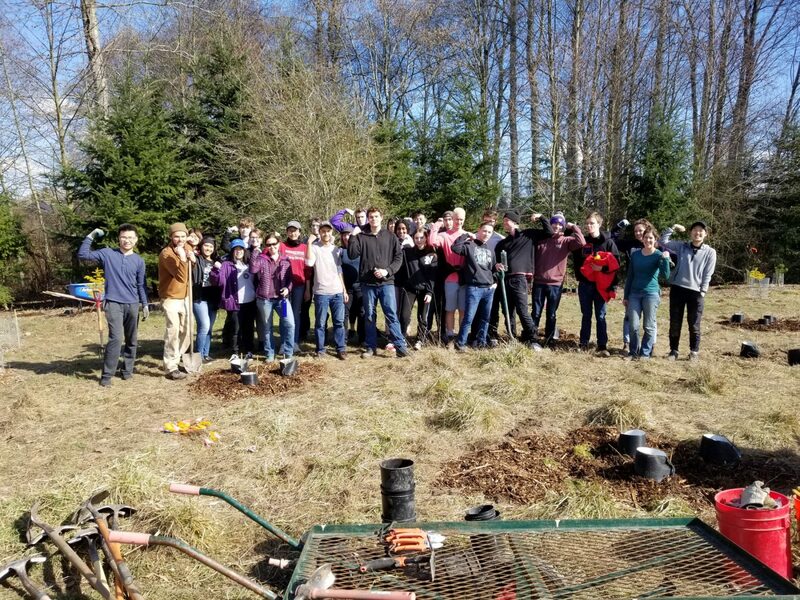 In honor of MLK Day of Service 2019, over 30 dedicated volunteers came ready to work to help restore valuable habitat for wildlife in the Union Bay Natural Area (UBNA) at the Center for Urban Horticulture. We are delighted to announce several new courses offered through our restoration professional education series. These programs are developed with support from the Northwest Chapter of the Society for Ecological Restoration, under the guidance of a committed network of professional restoration practitioners actively engaged in restoring habitats in the Pacific Northwest. We hope you can join us for these exciting new learning opportunities! 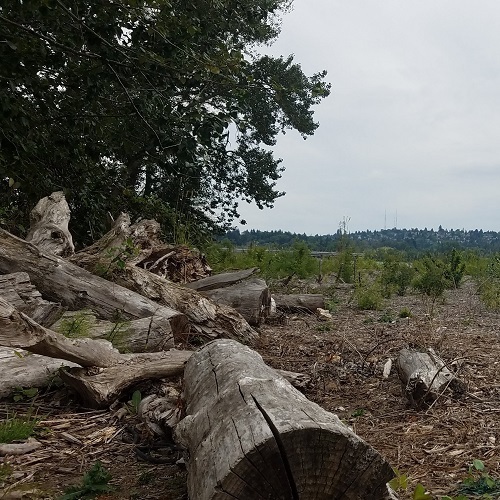 Shovels, picks and hammers will be brought out this month to forge the final section of the Yesler Swamp trail, a much-anticipated finale to years of planning and fundraising. Yesler Swamp, the 6-acre wooded wetland along the eastern border of the Center for Urban Horticulture has captivated local citizens, restoration ecologists and leaders at the University of Washington Botanic Gardens for close to a decade. What’s Going on Around the Burnt Tree? If you have walked around Shoveler’s Pond in the Union Bau Natural Area this month you have seen the area undergoing a flurry of activity from plowing to bulldozers moving dirt. Earlier this season as we were getting ready for a new quarter of restoration work in the Union Bay Natural Area, a friend supplied me with her wonderful collection of photographs from the 2004 planting of UBNA’s “blue tube forest”. It was a pleasure to be given a look back in time to the beginning of this project, as I have only been familiar with UBNA for a mere 2 years.